Patrick C. Dunican Jr. | Professionals | Gibbons P.C. / Patrick C. Dunican Jr.
Mr. Dunican is a nationally recognized law firm leader who was highlighted in 2010 by Law360 as one of the nation’s most innovative law firm managing partners. Mr. Dunican has been named for nine consecutive years to NJBIZ’s “Power 100” list of the 100 most powerful people in New Jersey business and was recently ranked #26 on the 2017 PolitickerNJ Power List of the 100 most prominent people in New Jersey politics. Also in 2017, he was selected by the New Jersey Law Journal as one of the state’s “Distinguished Leaders” in the legal industry and a “Professional Lawyer of the Year” by the Essex County Bar Association and the New Jersey Commission on Professionalism in the Law. Under his leadership, Gibbons has realized significant growth, joining the AmLaw 200 in 2007, the same year Mr. Dunican was named “Entrepreneur of the Year” by Ernst & Young, for his work building and leading a dynamic and growing professional services company. Two years later, Gibbons was one of only 20 firms nationwide to be named to The National Law Journal‘s inaugural “Midsize Hot List,” which recognized firms with fewer than 300 lawyers that have found innovative ways to position themselves. In addition, Law360 has featured Gibbons as a “New Jersey Powerhouse” every year the series has run. In addition, Mr. Dunican was recently featured by The Irish Voice in its 2017 “Irish Education 100” list of the country’s most influential professionals of Irish descent involved in higher education. He serves on the Board of Legal Trustees of Iona College as a member of the Board of Trustees Executive Committee, Committee on Trustees/Governance, and Academic Committee. He also chairs the Audit Compliance and Risk Committee. 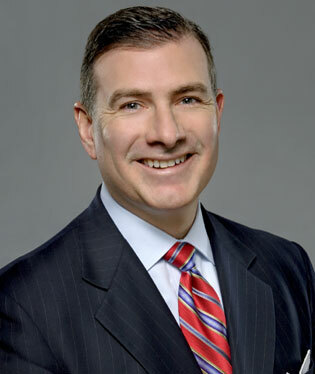 Mr. Dunican additionally works with Seton Hall University School of Law, serving as immediate past Chair of its Board of Visitors and Co-Chair of its Strategic Planning Committee. He previously co-chaired the Seton Hall Law Rising fundraising campaign, which exceeded its $25 million goal. Mr. Dunican has been honored as a distinguished alumnus by both Iona College and Seton Hall Law. He is a trustee of the Independent College Fund of New Jersey. In 2013, he served as the Grand Marshal of the Newark St. Patrick’s Day Parade, raising more money for more charities than ever before in the parade’s 78-year history. Mr. Dunican is also a founding member of the Irish American Bar Association of New Jersey and is on the Board of the New Jersey Performing Arts Center and the President’s Council of Valley Hospital Foundation. His focus on marketing and branding initiatives has earned Gibbons a place as the only law firm featured in Steve Adubato’s book – You are the Brand. Mr. Dunican has focused on training, retaining, and attracting talented attorneys and employees by working closely with his management team to develop policies and procedures to ensure that the firm is “Doing Good While Doing Well.” This includes offering the “Gibbons Experience,” an extensive and generous benefits package to all employees, donating more than $1 million annually to worthy organizations through “Gibbons Cares,” developing the firm’s internal training and mentoring programs for attorneys – the “Gibbons Academy” and “Gibbons Leadership Academy,” and founding the firm’s sustainability and environmental program – “Gibbons Goes Green.” He has also focused on continuing and building upon the firm’s existing Women’s and Diversity Initiatives. Mr. Dunican has been named for nine consecutive years to the NJBIZ “Power 100” list of the 100 most powerful people in New Jersey business.